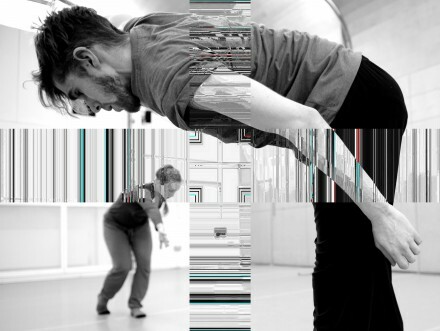 On November 8th I’m doing visuals and sound for two unrelated dance performances: Hacking Choreography 2.0 (with Kate Sicchio and Tara Baker) and Ring the Changes+ (with Chisato Minamimura and body>data>space), both as part of the Networked Bodies weekend at Watermans. Hacking was shown earlier this year in Brussels as a project supported by ICT & Art Connect; Changes was premiered at the Southbank Centre in September. The software platforms are completely different (Field vs. Quil – although both performances are Clojure-based), as are the projector rigs, so the setup/rehearsal schedule and changeover are going to be interesting. To add a bit more excitement, Kate and I will be simultaneously live-coding the same running system for Hacking during the performance (me on-stage, Kate NREPL’d in from New York). 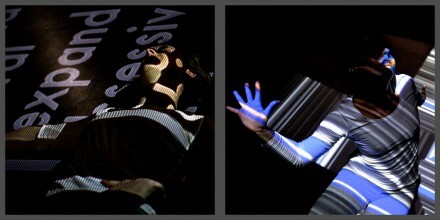 Tickets available (for the performances, and for other events in the Networked Bodies weekend) here.